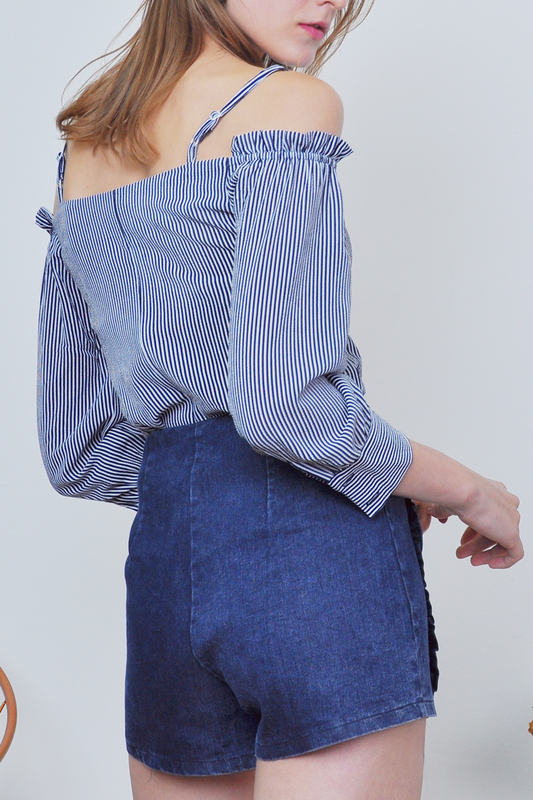 These ruffled and frayed jean shorts are far from basic! 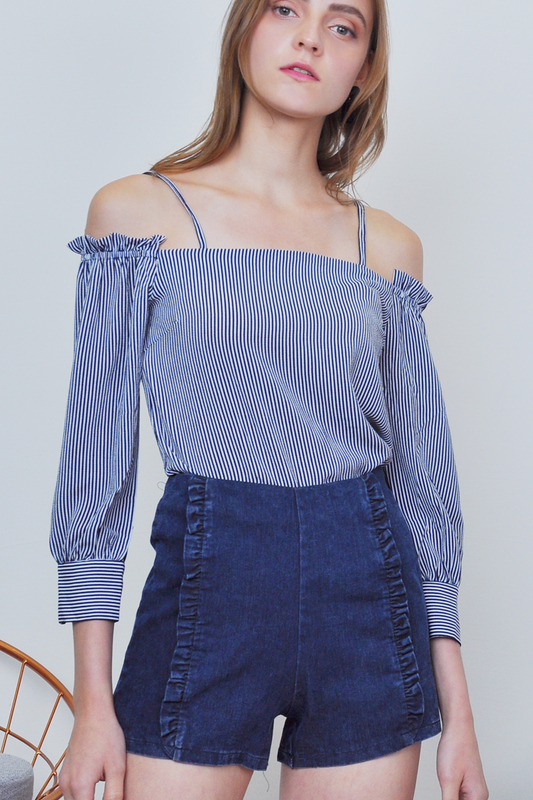 Dalary denim shorts are crafted with playful ruffle details along the side. A pair of stretchy, high-waisted shorts you can take to brunch, on vacay or anywhere in-between. This product is also available in Lightwashed.